What is the Sabbath and is It Still Important Today? The word “Sabbath” is related to a Hebrew root that means “cease” or “stop.” God commanded His people to cease from their labor, so they could rest, refresh, and refuel. He had set His people free from slavery in Egypt. As children of God, they were no longer bound to work non-stop like slaves. God gave them the gift of rest, a day to cease from working and to honor Him. In the Old Testament, Jews followed the pattern of setting apart the seventh day to keep it holy. Do you ever start your week on Monday even more tired than you were the Friday before? Many of us dread Mondays not only because it’s hard to get back into the swing of work after a break, but also because we exhaust ourselves all weekend long. “God, thank you because it’s not Monday anymore!” Back when my kids were younger, my son used to pray this aloud every Tuesday at breakfast, and honestly, my heart echoed his. I hated Mondays partly from the tired feeling I had in the pit of my stomach when the alarm went off. We packed our weekends with kids’ sports, house cleaning, grocery shopping, and time with friends. Sundays were a blur. I’d make pancakes for breakfast, take my daughter to ice skating practice, come home, get ready and go to church, go out with friends afterwards, and return home at 5 or 6:00 pm. Then at 7:00, I’d sit down with my planner and all of our textbooks to plan out my homeschool week. Today life looks different. Our kids graduated from high school and my daughter stopped skating long ago, but I still seem to fill my weekends with a plethora of activities that can leave me exhausted on Monday morning. Your life probably looks different than mine, but I bet you get as tired and stressed as I do when your weekend is overloaded. God must have known our “Do It All” tendency when He chose to rest. Most Bible scholars agree that today God also desires to give his children that same gift of rest, and Christians all around the world now observe the first day of the week, Sunday, as a day to honor God. There’s no biblical basis for changing it from the seventh day to the first, but scholars cite the fact that Jesus rose from the dead on the first day as a possible reason for this change observed in the New Testament. Why is the Sabbath still important today? Since God included the Sabbath in the 10 Commandments, He must have thought it was important. Of course today we are saved by faith in Jesus Christ, not by following commandments. However, as people who want to honor and obey God, we still accept these 10 commands as a guide for how God wants us to live. For example, we still refrain from bowing down to idols, killing, stealing, sleeping with another’s spouse, or bearing false witness against our neighbor. The first part of the commandment in Exodus 20:8 tells us to keep it “holy,” which means “dedicated to God.” We also read in verse 11, “The Lord blessed the Sabbath and made it holy.” When we make an effort to set aside time each week to meet with other Christians to worship God and hear His Word, it honors Him. A Sabbath Day meets our need for rest. No one can work 24/7, right? Perhaps today’s trend of online working from home makes setting aside time to rest more difficult, yet more important than ever. For physical health and spiritual well-being, we need rest. Rest refuels and re-energizes us to work more effectively later. When we’re rested physically, we deal better with stress and busy schedules. When we take time to refuel spiritually, we’re better equipped to deal with challenges and trials that will always be part of our lives. Can we sabotage the Sabbath? A friend shocked me once when she exclaimed, “I hate Sundays!” But I could secretly relate. Just getting the kids dressed to corral them into the car, in order to then chase them around church and sit in the cry room during the sermon was hard enough. Then I’d stuff my Sunday with errands and house chores as I mentioned earlier. 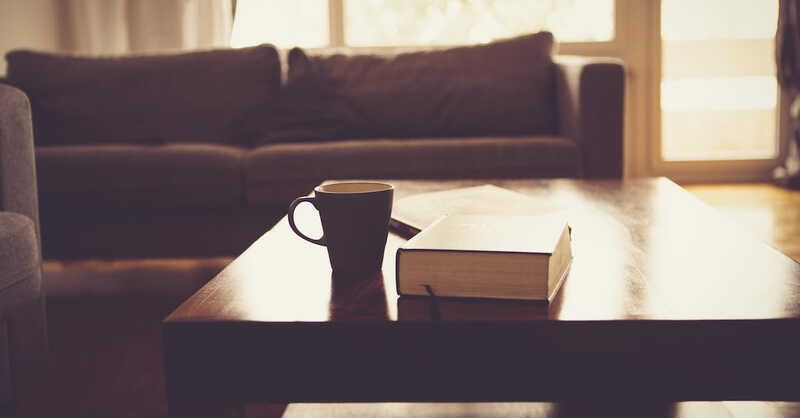 God set a healthy rhythm of work and rest for us at creation, yet maybe we sabotage the Sabbath rest God intended by trying to cram too many things into our weekends. Run errands on your way home from work during the week instead of on the weekend. Spend 15 minutes a day cleaning and maintaining your home, so you can rest more on Sunday. Break down large tasks, like cleaning out the garage, into 4 or 5 mini-tasks that can be done during the week. Plan your work week on Friday afternoon instead of on Sunday evening. Rest from cooking on Sunday. Restaurants, fast food drive-thrus, and even grocery store takeout or frozen food can help you. When we set aside Sundays for rest and worship, we follow the healthy rhythm God established for us, and we can start a new week on Monday refreshed instead of exhausted. If your job requires you to work on Sunday, ask the Lord for creativity and discipline to set aside another Sabbath time during your week. Whether our Sabbath is Sunday or another day, we can trust God to bless our time of rest and make us effective when we return work. Betsy de Cruz writes to encourage women to stick close to God and His Word, even when life gets bumpy and crazy. Her free guide, 10 Days to More, shows readers 10 ways to do devotional Bible study. It’s available at Betsy’s blog, Faithspillingover.com, where you’ll find Bible study and prayer tips, as well as encouragement for family life and everyday faith. You can also find Betsy on Facebook, Pinterest, and Instagram. The Fruit of the Spirit - What Are They? Baptism - What Does it Mean and Why is it Important?